Well, this is from a few weeks ago, when it was really misty. And freezing. Sure I had a great time with the camera. I didn’t get shortlisted for the blog awards, but I reckon Caitriona.net is a shoo-in for Best Photo Blog! tis nice of you to say 😉 tho my money’s on rymus! commiserations on not making the shortlist – there’s always next year! am loving the misty river btw. Wha’? Spanish? Maybe I hit a weird setting somewhere. Hey sorry your weren’t shortlisted, I know that feeling. 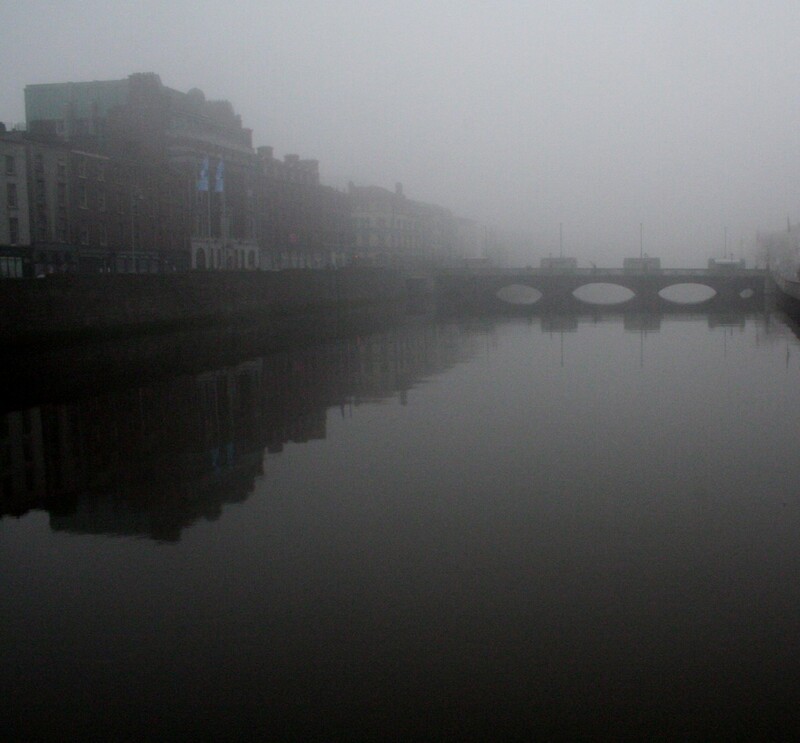 I love foggy picture, Dublin never looked so calm. that’s funny, cos my money is on John/Monasette.. C’mon the pissup!